One way to create a bold and unique appearance for your living room is to experiment with the furniture, materials and texture. If you are bold enough and you just can’t stand an ordinary living room, but you wanted to make something unique and new, then you ought to create something extraordinary, fresh and out of the box idea. 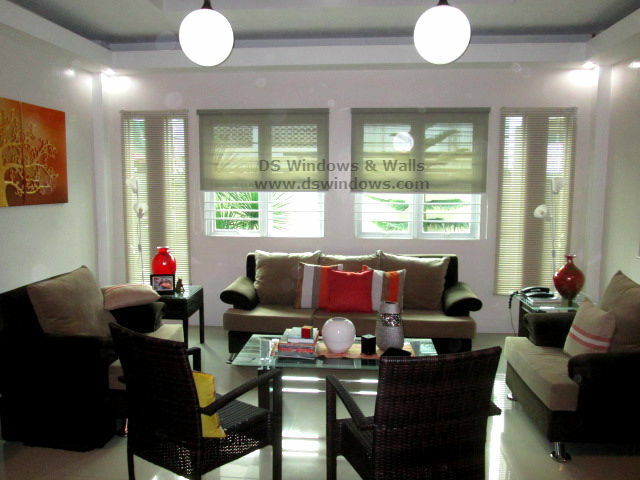 Our client in Makati City makes a captivating, lively and modernistic living room with the help of Aluminum Venetian Blinds and Sunscreen Roller Shades. She manages to produce a complete symmetry of light filling living room with dramatic look and cozy atmosphere. The use of different blinds in one room makes a diverse look that you don’t occasionally see, but fits perfectly with the modern design. 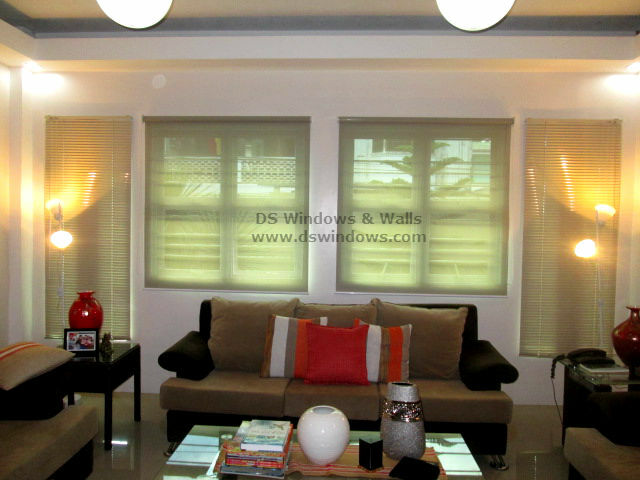 Using Sunscreen Roller Blinds also add a big factor in beautifying and complementing the living room because it blends amazingly with the lighted and modern furniture. While the aluminum venetian blinds produce a stunning impact in creating clean surface and gentle stripe look that helps to give the room an appealing and welcoming ambiance. Both Aluminum Venetian Blinds and Roller Shades have lots of different lively color, but choosing a same beige color for the living room that match with white wall. These two blinds are both different in so many ways in materials, way of functioning and look, but with the right combination they create help to create something unique and new. 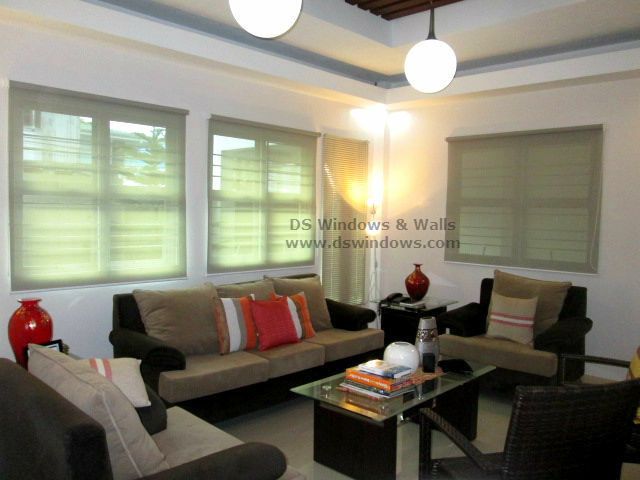 It boils down to your own creativity and familiarity with the many blinds options, add-ons and customization available to you. 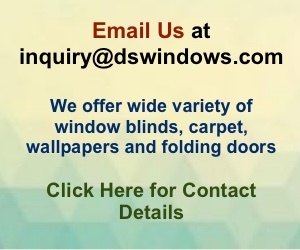 For more inquiry please email us at inquiry@dswindows.com or call us at (02) 403-3262, (02) 668-9668, (02)893-1373 and 0916-311-3909. You can also visit our shop located at 4th level Waltermart Makati, 3rd level Robinson Metro East Pasig City and 2nd level Pacific Mall Lucena City. "I believe in working for what you want. Nothing should be easily given. It has no value that way"